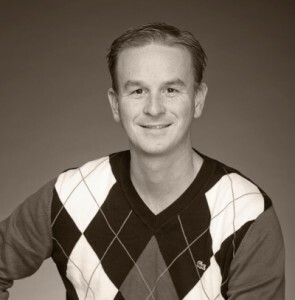 Ben joined Creative Strategies in 2000 and has primarily focused his analysis and research on the consumer technology industry and consumer technology products. He has provided custom industry analysis and developed strategic plans for clients in the markets of the digital home, mobile computing, personal electronics, personal computing, the digital lifestyle and interactive entertainment media. His overarching goal with his analysis is to understand how and why consumers will use new digital technologies in their everyday lives both in the present and in the future. Ben recently introduced Creative Strategies’ behavioural analysis and research center where the impacts of many consumer behaviours, digital home / family and connected lifestyle technologies are studied. His current and past clients have included Sony, HP, Dell, Toshiba, Philips, Palm, NVIDIA, Intel, AMD, Qualcomm, Corning and Microsoft to name a few. He speaks regularly at industry events and trade shows, appears frequently on technology radio shows, is quoted frequently by the press and has regular local and national TV appearances commenting on the latest technology news. Alongside being a featured editor and opinion columnist for Tech.Pinions he also has a weekly featured column at TIME.com. Learn more about Creative Strategies, Inc and their Market Intelligence Services. Ben started his career in technology in 1995 by starting a company that developed web based solutions for local businesses and consulted with them on how to use the Internet effectively as a sales and marketing tool. After college he then went on to work at Cypress Semiconductor as an Internet systems architect implementing web based solutions to streamline inter-department communication and efficiency. After leaving Cypress he joined Valley Credit Union tasked with developing and implementing their Internet strategy. After Valley CU he joined a startup called WebAgencies and was the director of Internet Operations for 13 Month’s before joining Creative Strategies.